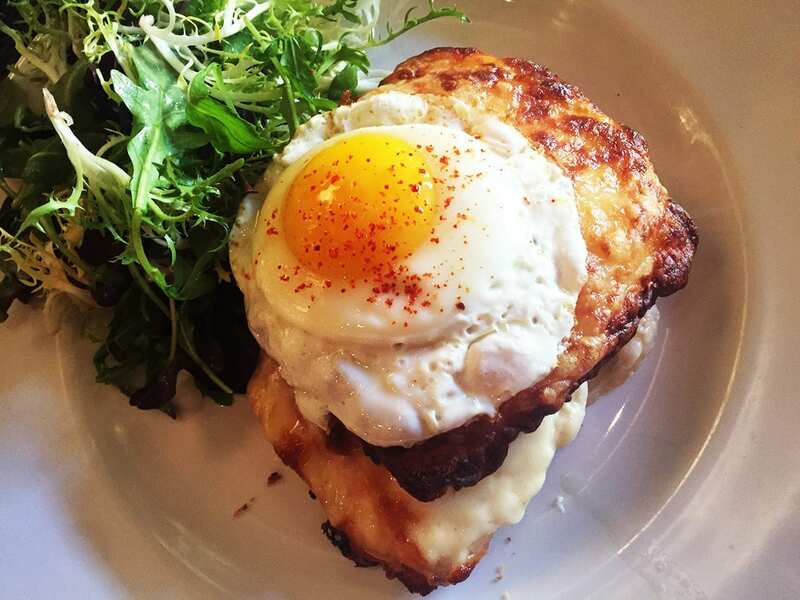 Closest you can get to an authentic Croque Madame from La Piquette a small French bistro in Cathedral Common, DC’ National Cathedral neighborhood. There may be many restaurants that serve this dish, but none does it so well, so be prepared to get your taste buds wowed away. This is by far probably one of the most beautiful looking dishes we’ve had in a while. 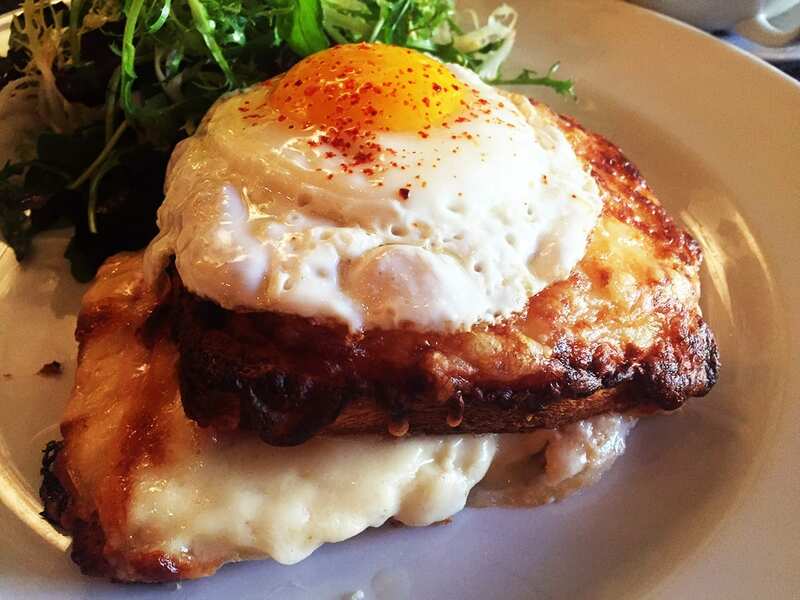 Just love the amount of gruyere cheese in it, overflowing from all sides under the thick toast. It’s not just any ham and instead, they use Jambon de Paris that was cooked to specific French recipe. Of course, it’s not complete until there is a beautiful bright yellow sunny side up egg on top with perfect runny yolk. As you slice it with a knife all the gooey things mix together and yolk covers the whole thing. Together all this creates one of the most impressive breakfast dishes. 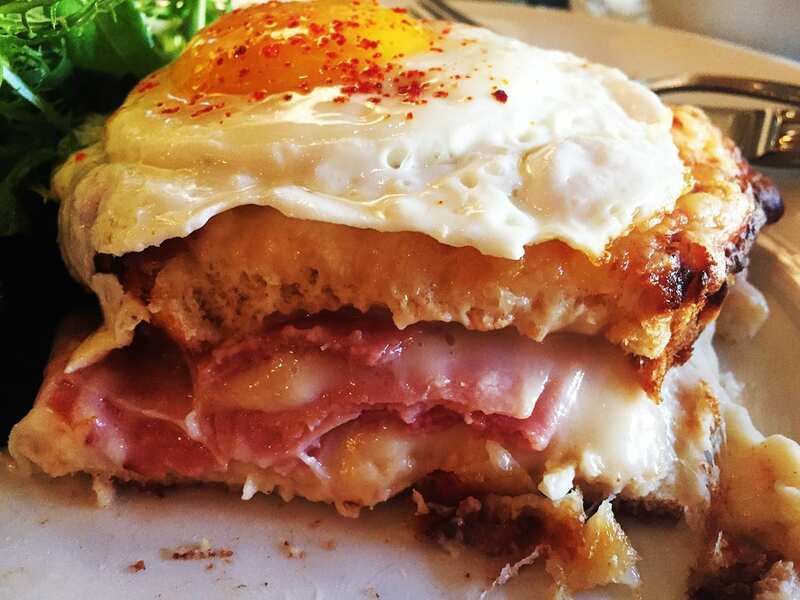 The combination of strong cheese and ham flavors with a crunchy toast. Unlike other dishes, this massive sandwich is only $14 which makes it an excellent order. 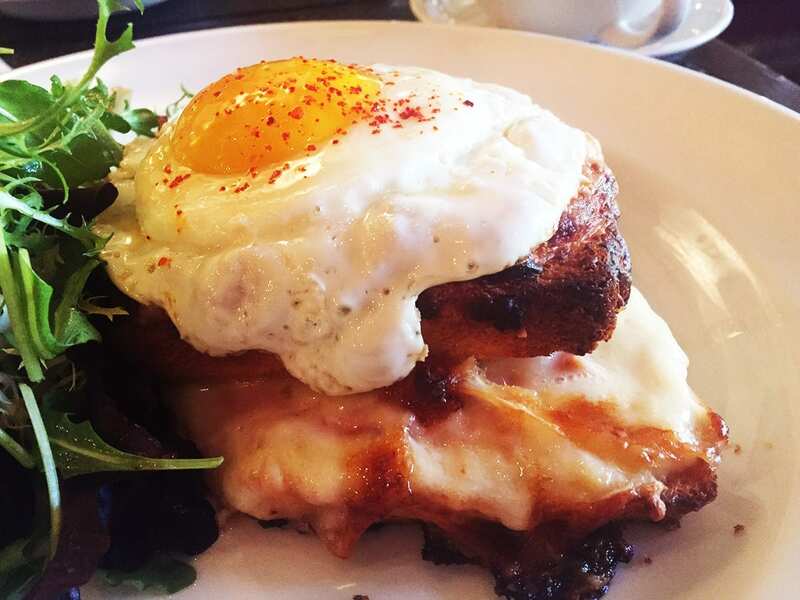 This is a very popular order available for both dinner and brunch. They only make a finite number of them a day and tend to run out pretty fast, so make sure to order yours early.